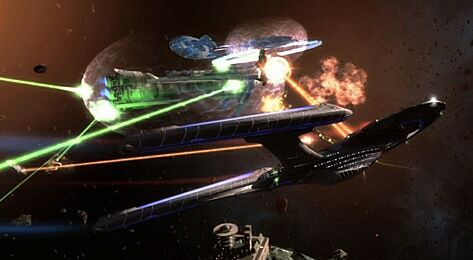 Welcome to Star Trek Online Season 6 – “Under Siege”. It is amazing to think that we haven’t even hit our 3 year anniversary and we are already releasing our 6th major update to the game and, by the end of the year, we will also have released Season 7. STO is just getting started and the best is yet to come. 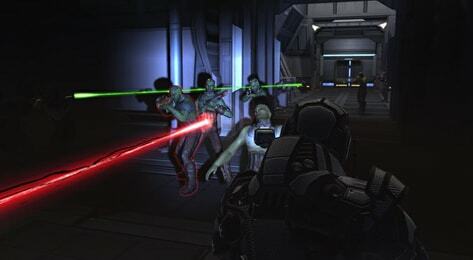 Someone recently asked me if Season 6 was a good time to start playing the game, to which I enthusiastically replied, “it is absolutely a GREAT time to start playing STO.” One of the big changes made when moving the game to free-to-play was to streamline the episode structure – this made it more accessible for players to play the core Story content without needing to do much else in order to enjoy the game all the way to max levels. It worked wonderfully and we now have many people able to play through all the episodes up through the top ranks. With Season 6, we’ve add new fun and repeatable challenges that allow everyone in a fleet, regardless of level, to contribute towards a common goal. All of this adds up to a great time to start playing STO and why so many players are returning to the game and playing every day. Even across our company, we are seeing more employees playing after hours than we normally do. Season 6 is lots of fun, and there is plenty more to come. Season 6 also introduces some nice improvements for our Foundry. As some may have noticed though, we have yet to turn on these new features yet. The QA team is working diligently as they continue to sort through some specific bugs with previously existing missions. Once those bugs are sorted through, we will then open up the editor – as of today, we have turned on the ability to play existing, republished missions. In addition to new Foundry features, we will also be diving into the Foundry Spotlight feature. We expect this feature to go live, along with the ability to add standard rewards to Foundry Spotlight missions, in the near future, well before Season 7 launches. Expect more information on this feature by the next State of the Game. We will also be looking into improving the PvE Queue UI to make it clearer what types of missions are available, and what types of rewards they can offer. This also includes looking into more missions to award Fleet Marks in addition to the missions released in Season 6. With all of the new Fleet Starbases being constructed, we are also sorting through tons of feedback on projects, contribution items, rewards, and general flow of the Fleet System. We will be addressing some of this feedback in the upcoming weeks. The new Tholian lock box is also now available, and we are happy to see some more positive feedback as we continue to update and change the items available in both the boxes and the Lobi store. In addition, we are looking into bringing back some of the older Lobi store items for those who were saving up for them. We have also started looking at the possibility of incorporating more items into future Duty Officer Packs, similar to the Jem’ Hadar Ship in the last pack. Stay tuned for more information on that. As far as the team goes, we are steadily switching gears from wrapping up Season 6 to beginning development on Season 7. Scheduled to be released towards the end of this year, our next big update will introduce a new Sector along with the continuation of one of our primary storylines. Several members of the team, including myself, will be attending the Star Trek Convention in Las Vegas next month! This will be our first official panel at a Star Trek convention and we are looking forward to answering your questions and showing you more about what to look forward to in Season 7 and beyond. This is a great time to be playing Star Trek Online, and thank you for helping us make this one of the best Free-to-Play MMOs on the market. We are hard at work on many more updates and look forward to what the future will bring. Live long and prosper STO!